Post-race recovery is needed for every swimmer. How much do you do? How fast do you do it? Do I wear my hi-tech suit…well I guess that doesn’t apply anymore. A study in the Journal of Strength and Conditioning Research compared passive recovery, recovery with low intensity (40% of the best 100-meter time) and high-intensity recovery (60% of 100 m time). Moreover the paper states “however, improved performance after AR (active rest) has been reported only when long duration maximum intensity bouts were applied (i.e., 60 to 120 seconds but not after short duration sprint swimming bouts (i.e. ; 10 to 30 seconds).” The study “hypothesized that using duration resting interval in combination with a low intensity of AR (active recovery) during an ‘‘anaerobic-lactate production’’ sprint training set may result in a beneficial effect on swimming performance”. 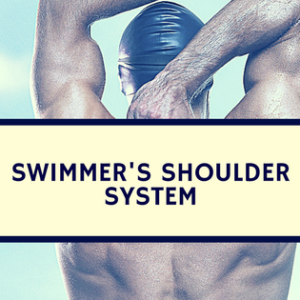 The study looked at 10 male swimmers average age 17.9 whose best 100 meters free time averaged 54.90. The swimming set included 8×25 meter sprints with 120 seconds rest followed by a 50-meter sprint 6 minutes later. 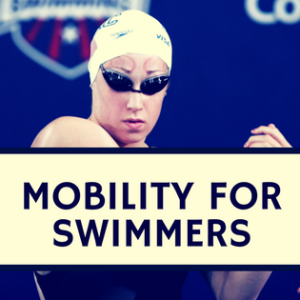 As stated the swimmers used a passive recovery, low-intensity active recovery or a high-intensity active recovery during the rest periods. The results from the 8×25 sprint indicated that passive recovery and active recovery low intensity had better overall times. The results of the 50-meter sprint indicated no statistically significant differences in time, but recovery with the low-intensity group had the best results by .2 seconds. Blood lactate values showed no statistically significant differences, but the passive recovery group had a consistently higher lactate following each sprint. Recovery intensity should vary correspondingly to the duration of the event. 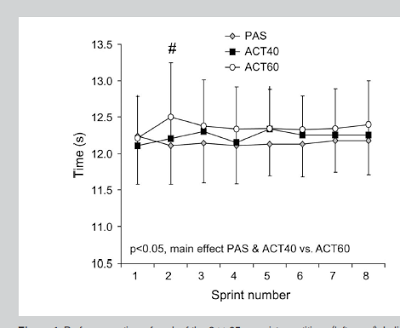 In short sprints, low intensity, ~40 %, of 100-meter top time or passive recovery is indicated. The other extreme, in a race of 10 minutes-15 minutes it has been suggested a recovery intensity of 60% is optimal. These differences in recovery are due to the different energy systems corresponded with the duration of the race. In non-human subjects, the creatine phosphate energy system becomes impaired following low-intensity exercise, which may be the reason why less intensive or passive may be optimal to higher intensity recovery after a 50 free which mostly utilizes the creatine phosphate system. Keep this in mind during repeat sprint training. However, the results were only .2 seconds different in a 50, therefore more research needs to be done to justify this relationship. What do you all think? 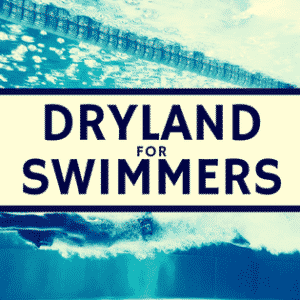 Do you warm down differently or require your swimmers to warm down differently after different races? Toubekis AG, Adam GV, Douda HT, Antoniou PD, Douroundos II, Tokmakidis SP. 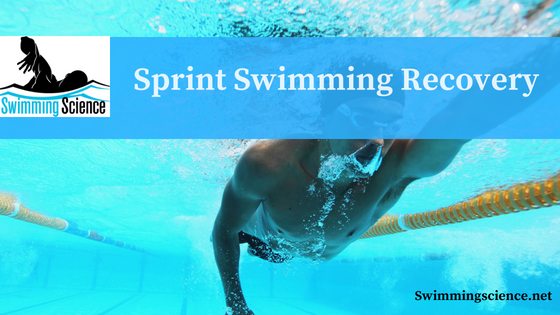 Repeated Sprint Swimming Performance after Low- or High-Intensity Active and Passive Recoveries. J Strength Cond Res. 2010 Jan 21.